JIF Foundation board members attended the new classroom dedication at the Wabasso School. As we celebrate our 18th year of philanthropy, The John’s Island Foundation is thankful for the many generous donors who make it possible for us to achieve our mission of making grants for the capital needs of nonprofit agencies serving the disadvantaged in Indian River County. Nine site review teams made up of 36 John’s Island members have already begun visiting agencies and evaluating our grant requests, so we are off and running! One of our most heartwarming projects has been our recent support of the Wabasso School, a special education center serving students aged 5-22 that helps children and young adults reach their maximum potential for independent living and academic achievement. 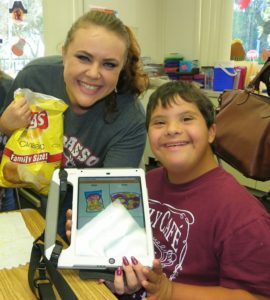 In 2016, we provided funds for Wabasso to purchase ipads with communication applications enabling non-verbal students to communicate during class time and outside school. In 2017, we were delighted to fund the renovation of a classroom that now successfully functions as a model house, designed to prepare the students for independent living – complete with a working kitchen, laundry, bathroom, bedroom and living room. Several JI Foundation board members recently attended the dedication of this new space, where we were treated to a delicious breakfast prepared and served by the students as well as a student-guided tour of the new classroom. We were thrilled to see first-hand how we are making such a difference in the lives of these children! We could not serve our community without your support…thank you from the bottom of our hearts! All current donors are invited to our Annual Donor Reception, Monday January 29th, at 6pm in the Golf Club. The reception is totally underwritten by our generous sponsors: The Hill Group, John’s Island Real Estate, The Law Offices of John E. Moore III, Mercedes-Benz, Porsche, Audi of Melbourne, Northern Trust and Vero Insurance. As we enter the holiday season, all of us here at the John’s Island Foundation want to express our thanks and gratitude to our many generous donors who have supported the needy in our community while creating lasting change for the future. 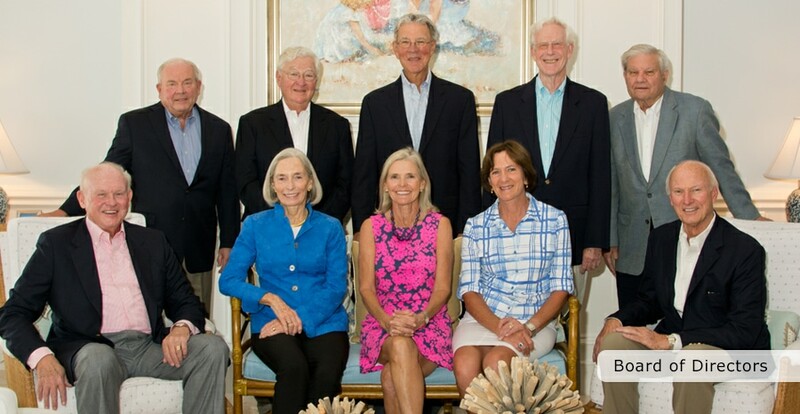 On November 8, Emily and Ned Sherwood opened their home to host a special Foundation reception, sponsored by Northern Trust, for Leadership Circle donors (those whose gifts were $5,000 or more). On January 29, the Annual Donor Reception will be held at the Golf Club starting at 6 pm. The reception is funded by our generous sponsors to date: The Hill Group, John’s Island Real Estate, The Law Offices of John E. Moore, III, Mercedes Benz, Porsche, Audi of Melbourne and Vero Insurance. All current donors (those who have contributed between 6/1/16 and 12/31/17) will be invited to attend. Over the past year, contributions enabled the Foundation to donate over $869,000 to fund capital needs for over 20 agencies in our Indian River community. An example of one such agency is the Economic Opportunities Council to which we provided over $21,000 for new computers for a Head Start classroom. Please consider joining one of our site review teams in the coming year. In the past, members have found it to be a great way to learn about and address the needs and challenges existing in our local community while sharing their financial, analytical and other skill sets with the Foundation. Thank you for your support of the John’s Island Foundation. The R.E.A.L. Lab at Wabasso School, which was funded by a grant from the John’s Island Foundation, was officially dedicated during a ceremony at the school November 14, 2017. 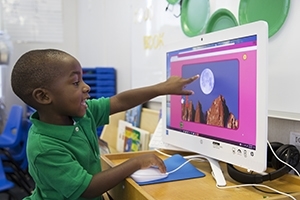 A Head Start student at the Economic Opportunities Council learns from a computer funded by John’s Island Foundation. We create lasting change. The John’s Island Foundation changes the lives of our neighbors in Indian River County by directly funding the long-term capital needs of over 20 deserving agencies in our community. Last year, we provided computer programs for seniors with Alzheimer’s and Parkinson’s disease, equipped preschool classrooms with SMART boards, supplied housing for veterans, and so much more. We make an impact. Thanks to the generous support of John’s Island residents, we donated over $750,000 last year for the capital needs of nonprofit organizations. Since our inception in 1999, the Foundation has contributed $9.9 million to our community. The Foundation recognizes Leadership Circle members in its Annual Report and celebrates this elite group at an exclusive cocktail party. We value our leadership. The John’s Island Foundation is pleased to announce its officers for the 2017-2018 season. Each of these board members brings substantial experience and proven commitment to the Executive Committee. Along with board members Pat Brier, Don Kittell, Bill Sayler, Jim Smith, and Steve Trooboff, the Foundation looks forward to another outstanding year of commitment to the community, with an abundance of gratitude to the retiring officers for their hard work and accomplishments over the past three years. Although you may not be planning that far ahead, please give some thought to contributing a small amount of your time and talents by joining one of the John’s Island Foundation’s Site Review teams next year. 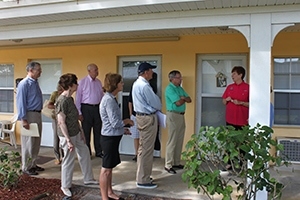 In January, each team usually visits three charitable agencies in Indian River County who have requested a Foundation grant to meet their capital needs. This year we have scheduled team visits to twenty-eight of these agencies. The purpose of each visit is to evaluate the request and to report to the Foundation Board how much of the grant, if any, should be given. As a team member, you met the principals of the charity and see first-hand what they do and who benefits from their work. It only takes a couple of hours for each visit and past site team members have found the experience to be enlightening and rewarding. The John’s Island Foundation provides only for capital needs of charitable agencies in Indian River County and compliments the work of the John’s Island Community Service League and United Way who provide funding for operations. If you would like to join a site review team please please visit the contact page. This month we are reviewing requests from 27 non-profit organizations in Indian River County, totaling more than $850,00 to fund their various capital projects. Since we don’t have the funds to support all these requests, we will need to make some difficult choices. A final determination on funding decisions will be announced by the Board at the end of March. Wabasso students using the iPads provided by the JIF grant. One example of the type of capital funding requests we receive is from the Education Foundation for the Wabasso School. This school is a special education center serving students aged 5-22. The mission of the school is to help children and young adults reach their maximum potential for independent living and academic achievement. Most of the students are developmentally disabled and have no or very limited ability to speak. 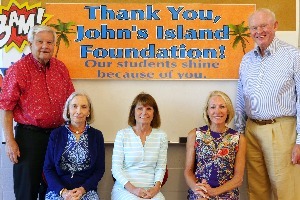 John’s Island Foundation was asked to provide funds for iPads loaded with communication applications to enable the non-verbal students to communicate during class time. These individual mobile devices can transform learning for the students and also allow them to communicate outside school with family and people in their community. We would like to continue helping local non-profit organizations which we feel are well run and are providing needed services in our county. Please consider making a donation this year to the John’s Island Foundation. Please go the the donation page for a convenient way to charge your contribution to your John’s Island Club account or simply call Jennifer Jones at 772-234-0992. This year there are twenty-seven non-profit organizations from Indian River County requesting funding from the John’s Island Foundation totaling $840,165. These requests are for a variety of capital needs and improvements. According to Jay Anglada, Grant Review Chair, site review teams are in the process of conducting comprehensive agency visits, determining which organizations will receive funding. There are nine teams consisting of a Captain and three to four team members. This year’s Captains are: Carol Critchell, Don Dussing, Rob Elliott, John Hessian, Lou Hoynes, Don Kittel, Julie Parker, Bill Saylor and Steve Trooboff. 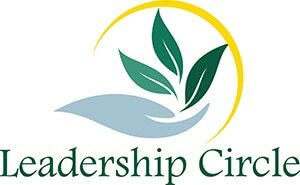 In order to get a complete understanding of how each non-profit serves the neediest of our population within our community, they will meet and visit with the leadership of the assigned organization and thoroughly review the appropriateness of each request in detail. Once completed, the teams will then present their recommendations to the John’s Island Foundation Board. If you would be interested in joining a site review team next year, please contact Jay Anglada or Jennifer Jones, Executive Director, at 772-234-0992. The John’s Island Foundation is unique in its mission to provide grants for capital improvement of deserving charities here in Indian River County. This financial support complements other funders like the John’s Island Community Service League and the United Way who provide operating dollars to many of the same non-profits. For example, this year the Alzheimer & Parkinson Association has requested $12,539 for new computers and software programs to be used by the clients during their activities; the Samaritan Center has asked for $44,750 for bedbug resistant bedroom furniture and bedding; Treasure Coast Community Health needs $50,000 for a large SUV with towing capabilities; and, Epic Mission has asked for $28,000 for electrical upgrades to their buildings and a UTV vehicle. If you haven’t already supported the Foundation, it isn’t too late to contribute to make a lasting difference in our community. Please go the the donation page for a convenient way to charge your contribution to your John’s Island Club account or simply call Jennifer Jones at 772-234-0992. We are thankful for the many generous donors who make it possible to achieve the Foundation’s mission which is to make capital grants to non-profit organizations who serve the disadvantaged. To evaluate the agency needs and abilities, 9 site review teams made up of 36 John’s Island community members are now engaged in visiting and evaluating 25 agencies such as the Alzheimer/Parkinson Association, the Education Foundation and the Source. Need based requests for this year total more than $800,000 for capital items such as computer equipment, classroom furniture, cooking equipment, passenger vans and trucks, and building repairs. Capital grants address the infrastructure required to enable organizations to assist the individuals they serve. Our nine teams have the responsibility of evaluating the requests and presenting their recommendations to the JIF Board for action. Those who have served on site teams have graciously given their time and talents while experiencing the good feeling that comes from helping others. Please consider volunteering for one of these teams next year. call Jennifer Jones, Executive Director, at 772-234-0992.